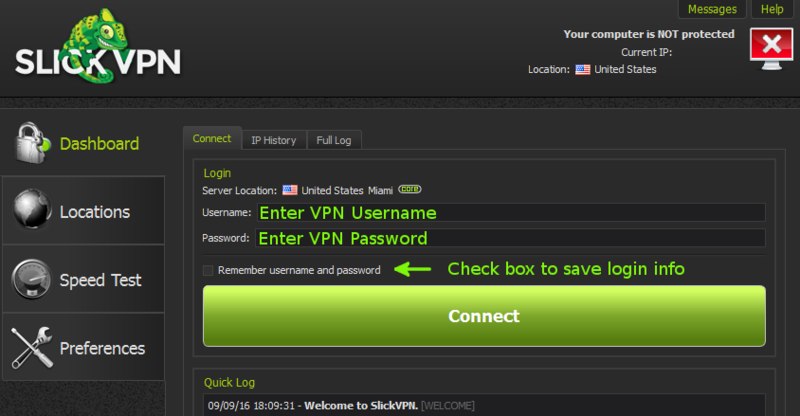 Quick Start: Get connected immediately by entering the VPN username, password, and clicking Connect. Check the status indicator for a quick update on the client’s current connection status. We’ve reorganized the Locations tab to be easier to use. Double click on any city to connect immediately. Sort the locations by Country, City, or Favorite. 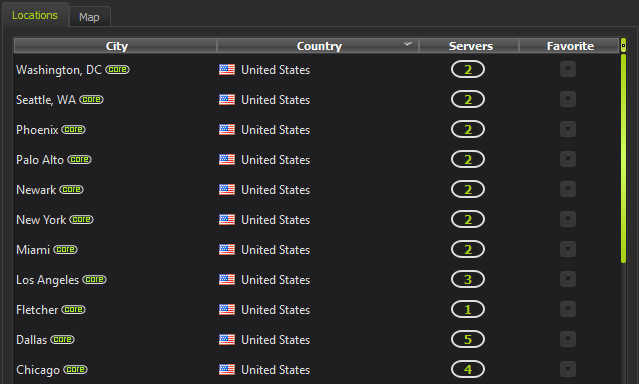 Select specific servers, if there’s more than one available, by clicking the number. Set various options like Launch and Connect at startup or Enable logging for debugging. 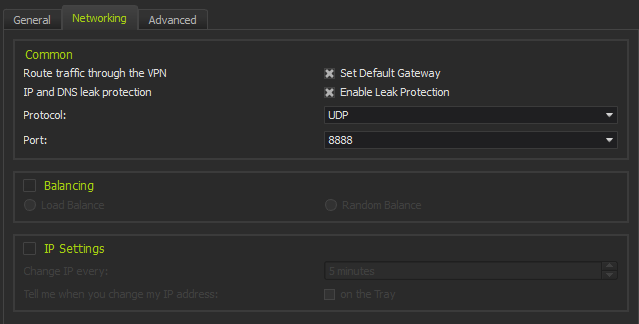 This section allows changing various options like the IP leak protection (internet kill-switch), UDP or TCP connections, and port.